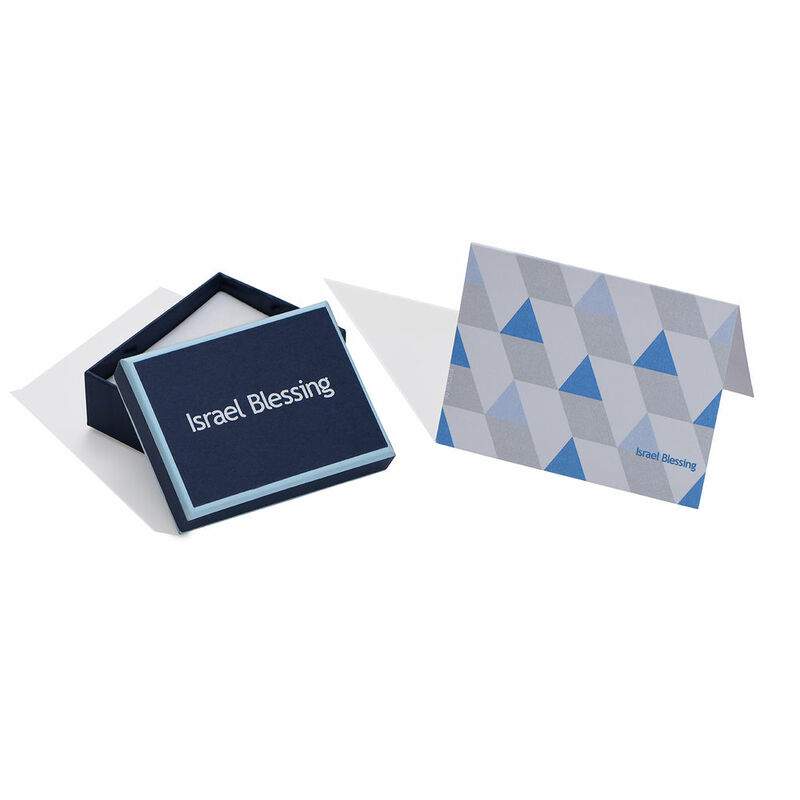 Please feel free to write your name in English, and we will translate it into Hebrew for you! 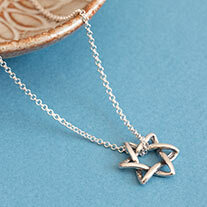 Have your name in Hebrew handmade on this Sterling silver (0.925) name necklace. This item comes with a silver (0.925) Cable Chain. 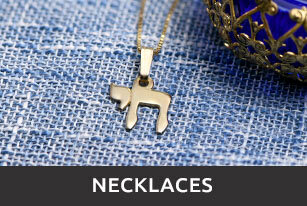 This necklace is also available in 18k Gold Over Sterling Silver and in Double Thickness . 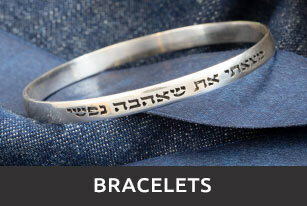 Loved mine so much I ordered one for my daughter and one for my daughter-in-law. Customer Service was very helpful with the proper wearing of the necklace. This was a gift for my mother and she absolutely loved it. The support team was very quick as there was a problem with the number of letters I wanted. 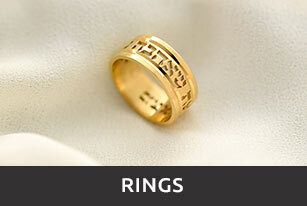 They emailed me and after correcting the issue the product went right into production and was delivered on time. Excellent service! 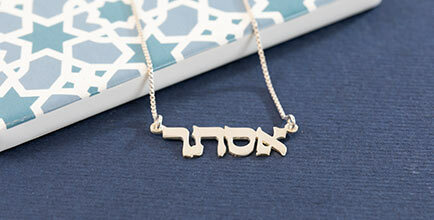 I ordered two necklaces with my daughter and daughter in laws name written in Hebrew They loved them!!! So special very shiny I will order one for myself soon!Thank you for making ourChristmas special. It's beautiful. I know my granddaughter will love it. 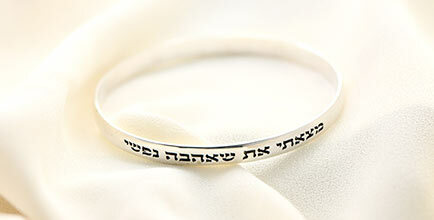 Beautiful, just delicate enough, love it.will b purchasing other jewelry in the future.so happy I found your website. The necklace I purchased as a gift for a deep and dear friend simply delighted and amazed her! Though born in Israel, she left as a young child, and will likely never be able to return. The necklace holds deep meaning for her, and the sheer quality of the necklace itself only enhanced the significance of its meaning to her. I cannot thank you enough! 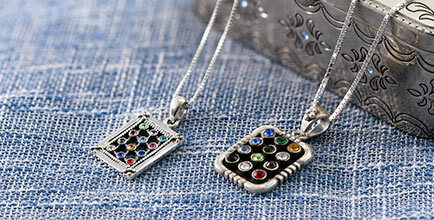 I love these name and chain, your products are beautiful! Love this necklace!! Will be ordering more pieces!